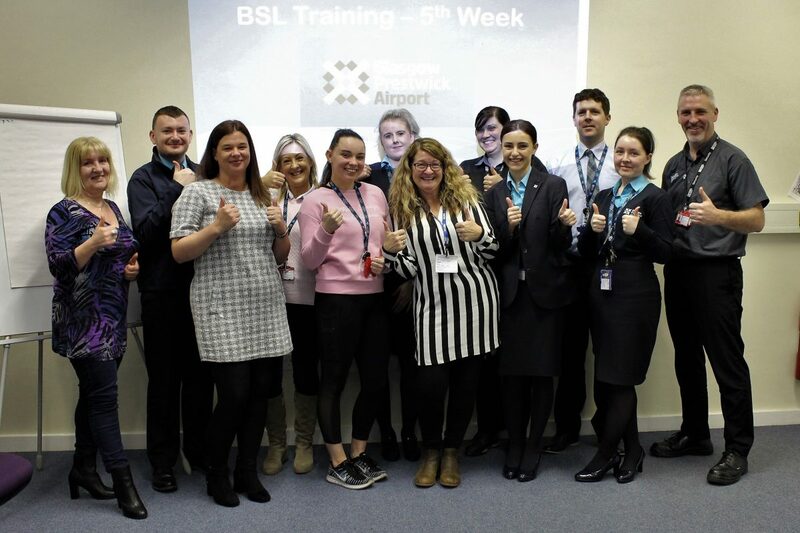 To help improve the airport experience for passengers and visitors who are hearing impaired, twelve members of the Passenger Handling and Security teams received introductory training in British Sign Language (BSL). Over the course of a five week training programme the trainees who had no prior sign language experience started off with the basics and progressed at a good rate. By the end of the training they were able to communicate competently and can now respond to a variety of questions. With only limited numbers available and demand high, the select few who attended enjoyed learning a wide range of signs. Focusing on travel related communication the trainees learned how to interact with questions regarding airport facilities, airline questioning and also can assist any BSL user with public transport related enquiries.